We just released Photoxor C1 Toolkit version 1.6.4 into Beta Testing. This version brings you some new features and a few fixes. Please feel free to join in. Whilst our internal tests were very promising, there is always a chance that the Beta version might have some flaws. If you find a problem, please let us know to improve the release version of Photoxor Toolkit. KMZ files are now supported to import locations. Improved readability of long exposure times. Filter screen: locks do not automatically open. 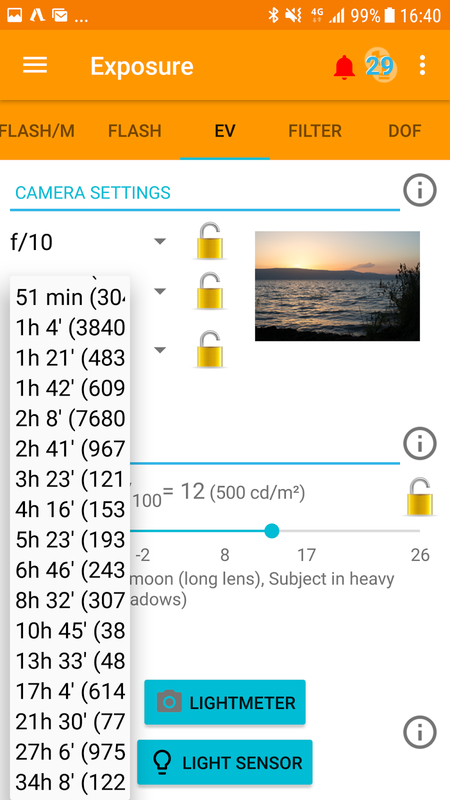 Edited configuration information (cameras, lenses, flashes, ...) is retained during screen rotation. A number of smaller fixes. For better readability, exposure times in the minutes range are now shown as minutes and seconds. And similar for times in the hours range a breakdown in hours and minutes. We also found and fixed a definition error for some of the very long times.